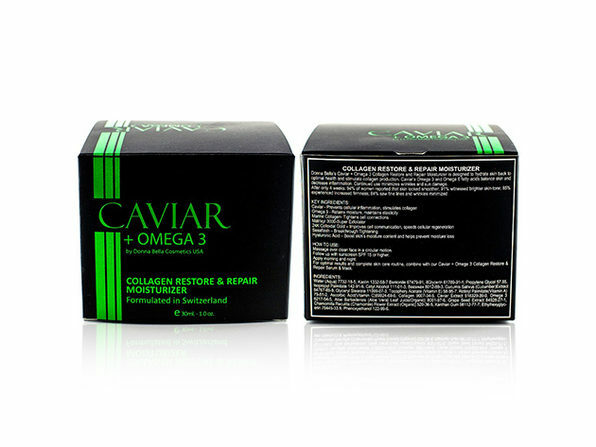 Donna Bella’s Caviar & Omega 3 Collagen Restore + Repair Moisturizer is designed to hydrate skin back to optimal health and stimulate collagen production. 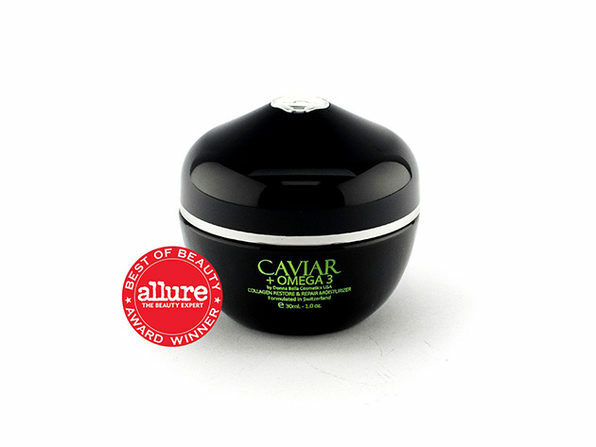 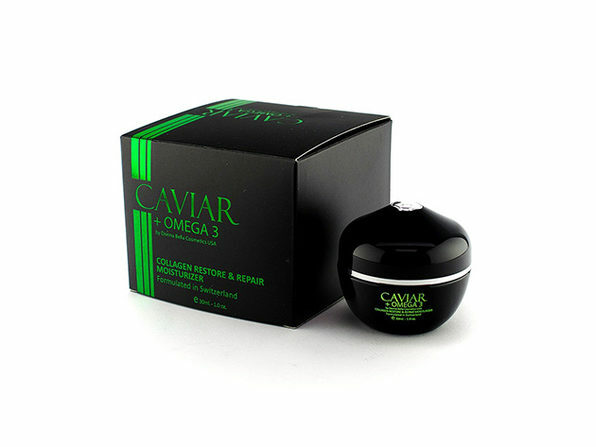 Caviar’s Omega 3 and Omega 6 fatty acids balance skin and decrease inflammation, and continued use helps minimize wrinkles and sun damage. 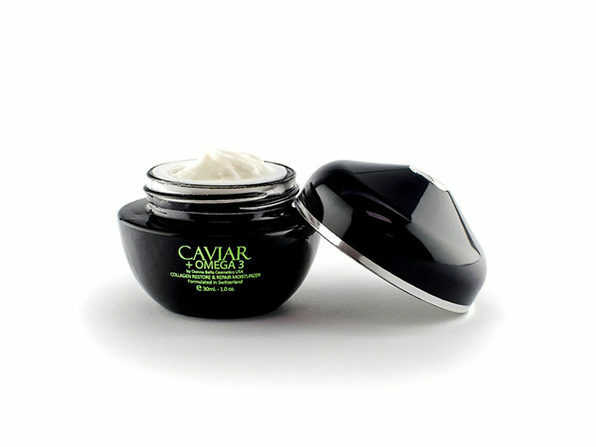 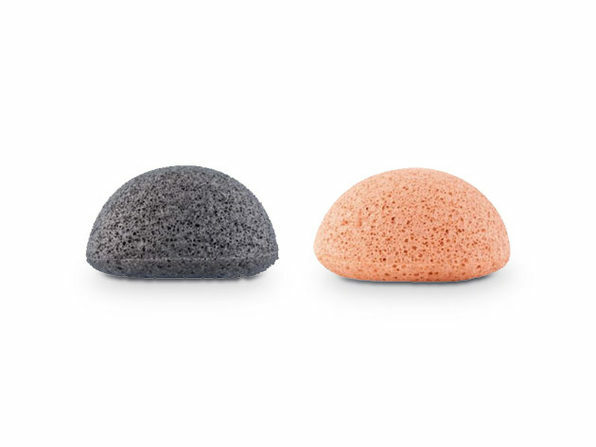 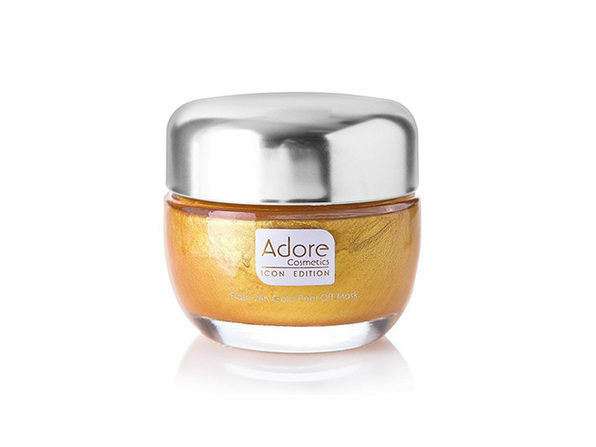 To use, just massage the product over your clean face in a circular motion and follow up with sunscreen SPF 15 or higher. 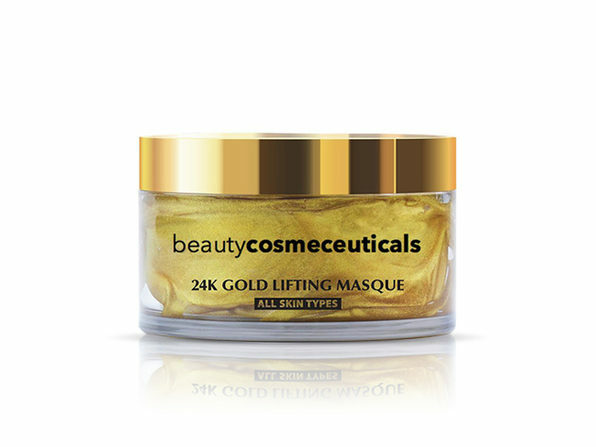 Ingredients: Water (Aqua) 7732-18-5, Kaolin 1332-58-7 Bentonite 67479-91, 8Glycerin 61789-91-1, Propylene Glycol 57.55, Isopropyl Palmitate 142-91-6, Cetyl Alcohol 111-01-3, Beeswax 8012-89-3, Cucumis Sativus (Cucumber)Extract 84787-69-9, Glyceryl Stearate 11099-07-3, Tocopheryl Acetate (Vitamin E) 58-95-7, Retinyl Palmitate(Vitamin A) 79-81-2, Ascorbic Acid(Vitamin C)89924-69-6, Collagen 9007-34-5, Caviar Extract 518329-39-0, Omega 3 6217-54-5, Aloe Barbadensis (Aloe Vera) Leaf Juice(Organic) 8001-97-6, Grape Seed Extract 84928-27-1, Chamomilla Recutita (Chamomile) Flower Extract (Organic) 520-36-5, Xanthan Gum 98112-77-7, Ethylhexyglycerin 70445-33.9, Phenoxyethanol 122-99-6.